Death is a natural part of our day-to-day existence. We get older, our bodies don't work like they used to. All that carefree living catches up with us. And, of course, unforeseen things happen. That doesn't make it any easier to deal with loss. I just found out last night, via Facebook, that my friend and former bandmate (very briefly) Erin Hutter (known affectionately to many as "Scratchy") died. Even as I type this, I wish I could be proven wrong. Details are sketchy at this point about what exactly happened. All I know is she was about my age, maybe a year or two older, which is too young to go. Erin played violin and sang in the band the Deliberate Strangers, who were playing punk-influenced country long before there was a bandwagon to jump on. They knew their roots and their instruments. We got to know each other fairly well from their shows. Then, briefly we both played in the band Boxstep, although I didn't last that long in the band. That's when we became tight. When feeling frustrated, Erin was an empathetic voice. She was a school music teacher by day, which is probably where that patience and compassion came from. Well, maybe that's a slight exaggeration but there were a few scary moments last Friday. Throughout the week I had been dealing with a bit of a cold and was also getting winded really easily (going up the steps in our house). I have an inhaler but it wasn't doing squat. (I found out later it was a for-everyday-use inhaler, which is really lame because it's 1/3 the size of a fast-acting one AND THREE TIMES TO CO-PAY). So I was hoping the over-the-counter Bronkaid would help. Plus I found an albuterol inhaler that expired last year but seemed to have a few puffs left in it. I got in at the ER within minutes, and they made me drink two quarts of water and huff on a nebulizer about four times. (The first two times I didn't do it right.) By 4:30 I felt pretty normal. Normal enough to walk home. I was more worried about walking through Bloomfield - having heard about people getting attacked recently - more than I was worried about keeling over on Liberty Avenue. I had to work the next day because we were having a big event, and I only got two hours of sleep. But I honestly have to say that I felt great in the morning. I hadn't had coffee in about two days and it went straight to my head. Oxygen seemed to be flowing to my head too, because I felt more energetic at work. I still have a bit of a cough, but it's helping me get rid of stuff, if you know what I mean. Damn, I turned 47 last week and was worried that this new age was bringing with it some serious ailments. The night of my birthday, I went to see Mike Watt at Brillobox. He was performing with Il Sogno Del Marinaio ("the dream of the sailor"), a trio with two Italian guys, drummer Andrea Belfi and guitarist Stefano Pilla. I didn't know much about them, other than how they met. I figured it was another Watt "opera" with a new backing band. Their selt felt similar to Watt's last tour, a bigger piece made of up smaller songs. But it's largely instrumental, and Belfi and Pilla do as much of the writing as he does. Pilla really seems to have studied his D. Boon and Nels Cline licks but rather than spewing out the same thing, he really make it his own. Same with Belfi, though he had some little gongs set up on the side, and seems like he'd be just as comfortable doing free improvisation on his kit. They played for about an hour. One encore, no Minutemen songs. No "The Red and the Black." Ed fROMOHIO was there but he stayed in the crowd. Unfortunately I missed the Sicks because I was downstairs having drinks with my friend Will, and they only gave the band about 25 minutes to play (or so it seemed). Sicks member Sam Matthews used to be in the Bats, who I wrote about in last week's City Paper. You can read that here. 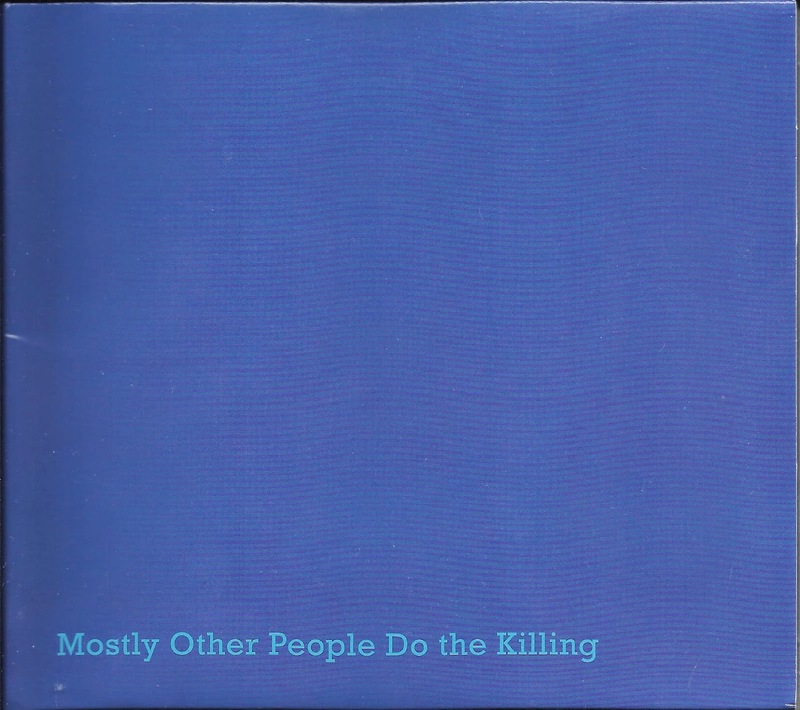 The band also featured Michael Chabon briefly, long before he wrote The Mysteries of Pittsburgh and other novels. Now it's time to face the day. To call Trio 3 a supergroup affixes an overused label to the band. But at the same time these three musicians have been at the forefront of innovative jazz, going as far back as the 1960s. Drummer Andrew Cyrille was a key member of the Cecil Taylor Unit, bassist Reggie Workman was the first bassist with John Coltrane's Quartet (and played with numerous other heavy hitters) and alto saxophonist Oliver Lake was and still is a driving force in the World Saxophone Quartet. 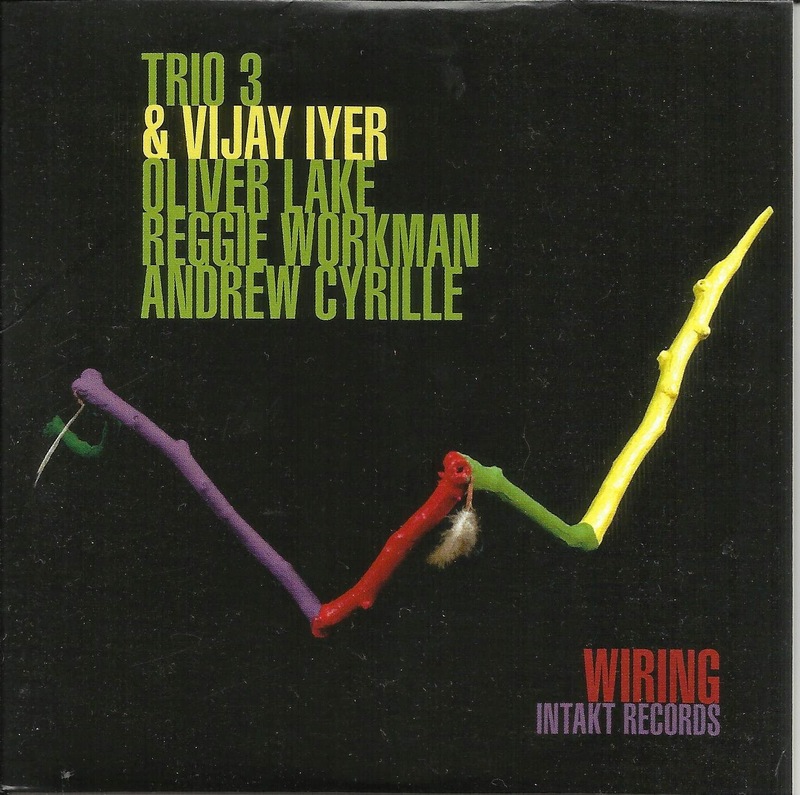 The band has welcomed pianists like Geri Allen and Jason Moran on previous discs for Intakt. So bringing on Vijay Iyer seemed like a natural choice. Each of them brought compositions to the session, Iyer with the most ambitious one, the three-part "Suite for Trayvon (and Thousands More)," which is dark and ominous, parts sounding written-through while others sections open up a little more. The mood shifts greatly with each track, playing up the depth of the players. Iyer's "The Prowl" builds on a steady bass vamp with a staccato theme on piano and alto. Immediately following is "Synapse II" which begins with an alto shriek and stays pretty free and loose. Workman, who penned that one, also wrote "Willow Song," a rubato set of bowed bass and stormy piano, with plenty of dramatic beauty. Lake's two compositions have loose sketches of themes that quickly slide into loose improvisation. A snare crack regularly cues things back around during the title track. "Shave" gets dark and stormy, with rolls and crashes again between band statements, with Iyer exploring some Cecil Taylor key strikes and Lake raising the excitement with some fast squonks and wails. Cyrille might have spent the '60s proving that jazz could survive without a steady 4/4 groove, but "Tribute to Bu" proves that he can lay down a solid Art Blakey groove as good as anyone else. Each of his bandmates briefly pop up during the track for a dialogue during the track. On the subject of straight ahead jazz, "Chiara" (written by pianist Curtis Clark) proves they know as much about this style as any young lion, and maybe a little more. While Workman lays down a 3/4 tempo, Cyrille toys with it and Iyer makes some original choices about what to do with the changes. Anyone who thinks that free players don't have an appreciation for tradition needs to pipe down and listen up. Wiring doesn't sound like a band-with-special-guest album or a leader-with-a-guest-band session. These are four minds working together for the common good, which this disc definitely is. Trumpeter Wadada Leo Smith has recently been composing large scale works. Ten Freedom Summers (Cuneiform, 2012) was a four-disc set of compositions dedicated to the civil rights movement of the US. Last year, he released Occupy the World (TUM), which was written for a TUMO, a 22-piece improvising orchestra. His latest takes as its subject matter the Great Lakes, located in the northern part of the United States: Michigan, Ontario, Superior, Huron and Erie. He has also composed a piece for Lake St. Clair, a smaller body of water in that area that is considered to be a great lake contender. 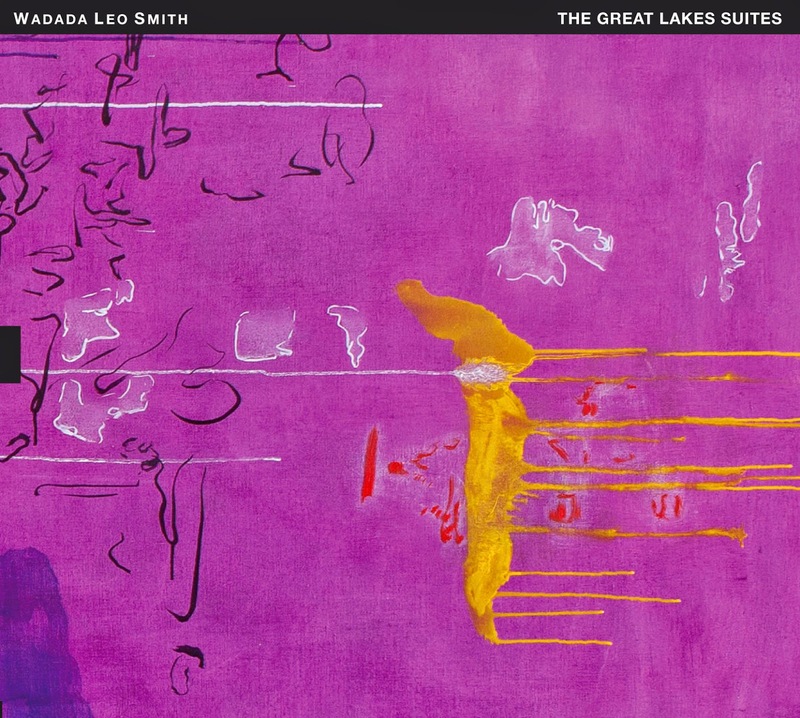 The piece is also dedicated to saxophonist Oliver Lake, who Smith considers "another Great Lake." The two-disc set doesn't attempt to capture the qualities of each lake in composition, so much as use the idea as a launching point. Besides, the significant thing about this music is the band that the trumpeter assembled to play it: Henry Threadgill (alto saxophone, flute, bass flute), John Lindberg (bass) and Jack DeJohnette (drums). Hearing an A-list group like this is a rarity and everyone brings a great level of excitement to the work. Smith, who has also lead a band devoted to Miles Davis' electric period, plays in a manner that recalls that trumpeter's approach, where simple, dramatic phrases can have as great an impact as faster, complex lines. He regularly blows long tones, occasionally splitting notes for extra dynamics. Whatever he plays demands attention. Threadgill, who hasn't stretched out as much on his own recent albums, gets plenty of room to put his unique alto voice on display. His crisp tone combines with a gravelly set of ideas. His flutes add extra depth to the music, especially in "Lake Ontario," which is the one moment that seems to evoke a flowing body of water. The bass flute in "Lake Erie" begins with a rusty shriek, going on into rich solo filled with vibrato. Lindberg often acts as the anchor to the music, keeping things together as his co-horts cut loose. But he also gets in some wild bowing, especially in "Lake Ontario." "Lake Huron" also gives him a chance to put down a groove, later in the piece. Forget for a moment that Jack DeJohnette is behind the drum kit and his free flowing percussive work could be attributed to Famadou Don Moye or the late Phillip Wilson. While he's better known for his work as a leader and for holding down the tempo on classic albums by Miles Davis and Charles Lloyd, DeJohnette was involved with the AACM early on and he is fluent in this aspect of playing too. He impressively plays his first solo in "Lake Michigan" just on the rims, later moving across the whole kit with a frenzy, as Lindberg bows behind him. The six compositions each last anywhere from 10 to over 20 minutes. They come with a loose, flowing feel, making them sound pretty spontaneous upon first examination. But each consists of different sections, with different instruments coming together or stepping back, moving into dynamic shifts that keep the energy at a high level. It evokes the spirit of the best AACM works, but with a newer focus or perspective on where the music is headed. Smith continues to be an engaging improviser, bandleader and composer. Sometime around 1970, soundtrack maven Ennio Morricone and a group of musicians known as Gruppo D'Improvvisazione Nuova Consonanza tumbled into a studio full of instruments, picked them up and let tapes capture what happened. A mere 27 minutes of music was released on Italy's RCA imprint that year, and has become an extremely collectible album. Recently, originals have gone for between $700 and $1700 on eBay and Discogs. Schema has reissued it both on vinyl (which comes with a CD version) and a stand-alone CD, complete with a gatefold cover. At the time of its release, a freely improvising ensemble was a new "trend," according to the translated liner notes. It goes on to say most groups like that would either come at it from a jazz perspective or a classical perspective. Presumably the Group was there to bring a new approach to it. Awkward translation aside, this sentiment seems awfully quaint 44 years later. Today, the music sounds very close to a band like Can, thanks to Renzo Restuccia's steady drumming, which adds form to these tracks. 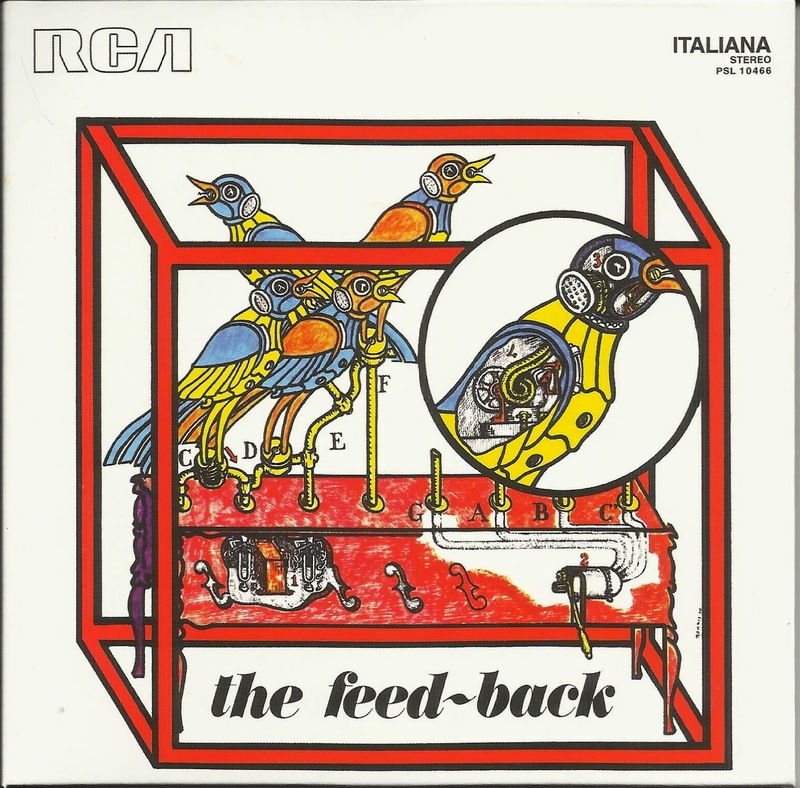 In "The Feed Back," Morricone squirts and squeals on trumpet, in the manner of Lester Bowie or Bill Dixon, a comparison that was probably coincidental. The intention here seems to be getting unconventional sounds out of conventional instruments (which has come to be known as "extended technique"). A squeaky violin highlights "Quasars," along with a percussive noise that sounds like a guitar with an effects pedal being shifted on and off, creating feedback for seconds at a time. Just when the whole thing starts to get really unbearable, the drums kick in. "Kumbalo," the 14-minute piece that took up the second side, gets more sonically interesting. Cross-fading is the standard here, with a sitar (or something very close) buzzing away as it moves from channel to channel. Additional percussion moves in and out, mixed in a way that makes you wonder if the sounds are coming from the speakers or from a stack of boxes falling down in the next room. Like the other side of the album, a prominent bass line could have complemented the drums and elevated the music. Fans of '70s Kraut-rock should be interested to hear an Italian counterpoint to those bands. But, brief as they are, the tracks feel a little closer to Moby Grape's meandering Grape Jam album where there's not a lot happening. The Feed Back shows what happens when you let a bunch of musicians ran amok in a studio: Playing this way is often more fun than listening to it, and what might have been new and uncharted at that time was bypassed in the ensuing years. Hopefully my thoughts are shared by the person who paid four figures for an original copy. It's all Allen Ginsburg's fault. If the beat poet hadn't been performing on the campus of Temple University on November 11, 1966, more people might have gone to the concert at the university's Mitten Hall that night, where John Coltrane performed to a relatively small crowd, many of whom didn't dig what he was doing and left before it was over. If it weren't for Ginsberg, maybe an audience of more appreciative people could have gotten into the music and the show would have been a success, artistically and financially. Then there'd be more free jazz fans in the world. Maybe. But you can't unring a bell. And now, finally, after nearly 48 years, the rest of can hear the results of this performance. Offering - Live at Temple University delivers the full concert from that night, which was recorded for broadcast by WRTI, the school's radio station. Coltrane - who would succumb to liver cancer in July of 1967 - was turning yet another corner in a career marked by forward motion, taking his music further away from conventional jazz. In fact, prior to the performance, Coltrane apparently said that the event was shouldn't be considered a jazz concert. So what was it? Coltrane brought a quintet of his wife/pianist Alice Coltrane, drummer Rashied Ali, tenor saxophonist Pharoah Sanders and, subbing for regular bassist Jimmy Garrison, Sonny Johnson to Temple. In addition, he invited four percussionists to join the music. On top of that, he invited a free-thinking alto saxophonist to take a solo and another one took the liberty to jump onstage and join them. Maybe it should be considered a mind-expanding event because that's what it sounds like. To anyone who's heard Coltrane's music leading up to that period, the expectation, after reading several preview articles over the past month, is that this music might burn your skin off, in low fidelity to boot. (Memories of the original LP release of Concert in Japan bring to mind extended, blistering solos that weren't recorded very well, and therefore hard to really wrap the head around.) But don't you believe it. For starters, the sound on the recording might not be stellar, but it's a far cry from the lo-fi sound on The Olatunji Concert,a 2001 release that was recorded in April 1967. One mike was set up onstage to record the show. When Coltrane or Sanders are soloing, they're the predominant instrument in the mix. When they step away, the rhythm section comes into greater relief. Not ideal, but not too shabby. Yes, things get wild. But not on the level of something like Frank Lowe's Black Beings or other such sounds that were emanating out of Lower East Side New York at the time. In fact, Sanders doesn't even appear on opener "Naima," one of Coltrane's best-known ballads. The rhythm is loose and Coltrane's tenor sax is much more aggressive, shaping and re-shaping little phrases (what Ravi Coltrane refers to as "cells"). Alice contributes a piano solo full of cascading runs and lines. Maybe it jarred some in the audience, but they probably still thought they were getting their money's worth ($2.50 per ticket). Anyone who might have picked up Live at the Village Vanguard Again that year might feel this performance was in keeping with the "Naima" that appeared on it. "Crescent" picks up the intensity a bit more. Coltrane gets a little more aggressive, barking and wailing at times. Sanders growls and shrieks in his typical manner, but he also sounds on top of his game, pushing himself to create more musical nuances out of his personal approach to the tenor. It must have worked, because he gets shouts of encouragement from someone, probably onstage. At some point during this tune, four percussionist join the group, at Coltrane's behest. From here until the end of the set, their groove is steady, something that might not seem to jibe with the rubato feel of the music, or with Ali's loose-limbed approach to the kit. But the addition works, adding to a trance-like feeling to the music and keeping it grounded. Also during this the piece, alto saxophonist Arnold Joyner decided to leap onstage and join the group after Alice's solo. Despite his audacity, he holds his own, unleashing a free solo that's frenetic but directed. It's not all reed biting and wide vibrato. Then things get crazy. "Leo" was a newer piece, similar to "Sun Ship" if only because its theme was short and staccato. This is the piece that must have started driving the audience away. This is also the piece that gets talked about first when the concert is discussed. Because Coltrane starts beating his chest and singing in the middle of it. Usually, free jazz and vocals are not good bedfellows. Albert Ayler's ululating on "Oh Love of Life" offers the perfect example. It doesn't matter if he was trying to sing in a manner similar to his sax player. It sounds amateurish. Coltrane's voice had been heard on record before. Aside from him speaking the title of A Love Supreme during that album's first section, he began wailing on Live in Seattle, in a way that almost sounded painful and definitely a bit eerie. "Leo" doesn't sound like either of those. Here, Coltrane proves yet again that he was in total command of his musical vision and if he wanted to vocalize, he would do it and do it... pretty well. He has a strong baritone voice and his wordless chanting adds to the urgency of the music. The concert kicks into full-blown frenzy by now, but the group maintains it for all 21 minutes of this track. After all that tumult, it seems almost appropriate that "Leo" ends cold, due to the tape machine running out. "Offering," which he would later record in the studio, acts as sort of a come-down, a rubato ballad that begins with a wave of vibrato. He goes on to explore more cells, sounding stunning the way he adapts them slightly but effectively. At four minutes, it's significantly shorter than everything else the band played that night. A bass solo by Sonny Jackson leads into "My Favorite Things," which had arguably become one of Coltrane's signature tunes by then. Even so, the blissful version he recorded for Atlantic has been replaced by waves of wild solos. During Alice's rolling and tumbling, Coltrane asked Steve Knoblauch, another alto saxophonist who he met earlier in the evening, to take his place in front of the mike. Like Joyner, Knoblauch blows wild and free, in a manner that doesn't seem out of place or primitive in comparison to the seasoned pros onstage. When Coltrane takes his own solo on soprano sax, the singing and chest-beating resume, the whole thing sounding more like a celebration of joie de vivre, to ensure that the evening ends at a high level. Books have been written about how Coltrane wanted to perform with several percussionists. At least one column was written that disparaged late period Coltrane shows where he beat his chest and wailed. Now is the chance to experience all of this and put the speculation to rest. The former idea wasn't overly ambitious and the latter wasn't just some flaky idea, comparable to many experimental performances from that period. John Coltrane was determined to do something new each time he played and this album proves that. While the CD edition of the album looks exquisite, with a 24-page book full of pictures, the vinyl version is really a treat. Not only does it include the classic orange and black Impulse! spine and the record label with the exploding "i", it has a gatefold sleeve and a four-panel booklet with Kahn's notes, as well as the article from Temple's college newspaper about the money that was lost on the show. A series of photos by Frank Kofsky are reproduced on postcards too. If you're going to buy it, go all the way and get the records.